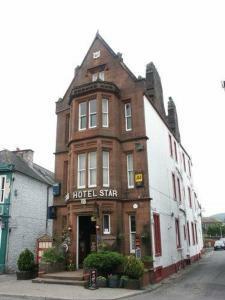 Choose from 27 hotels and guest houses in Dumfries and Galloway. Shown below a just a selection of the hotels available. To search within an area please use the menu on the right. Winner of 'Scottish Small Hotel of the Year 2008', this luxury hotel is set in 6 acres of parkland, one mile from the Solway with its sandy bays and coastal walks. Cavens is all about understated style and luxury. 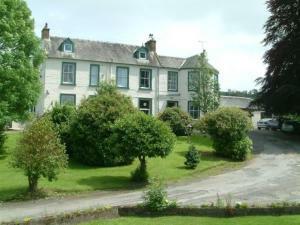 All 7 bedrooms have en suite bathrooms, and some have private sitting rooms. Cuisine awarded an AA Rosette is served with style, with daily-changing menus featuring local organic produce cooked with passion and flair. Relax in the vast sitting rooms with open fires for drinks before and after dinner. 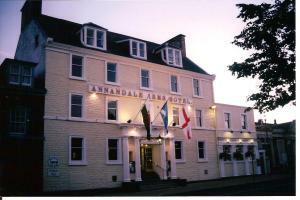 The hotel is personally run by its resident owner. 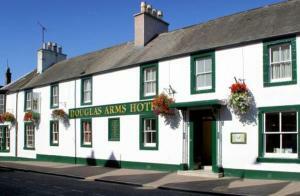 Centrally located within the picturesque market town of Castle Douglas, this former coaching inn dates back to the 1700s. 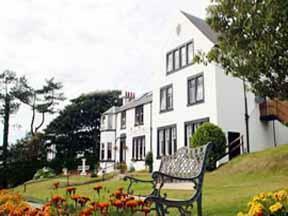 Located near the beautiful Solway coast, the hotel is just a short drive from the shore and a number of golf courses. After a day of exploring or a round of golf you can return to the warm, friendly atmosphere of the hotel and enjoy some tasty, home-cooked cuisine and relax beside the log fire in the hotel's lounge. 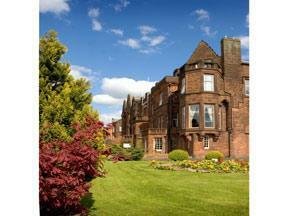 Some of the hotel's rooms have recently been tastefully modernised. This elegant Georgian country house is set in 3 acres of its own grounds, and presents a warm, friendly, welcoming atmosphere, hand in hand with excellent hospitality. 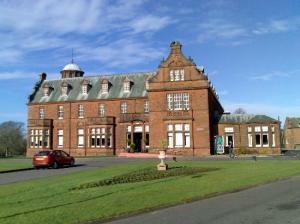 Whitecroft Mansion is easily accessible from the A75 and is just a short drive from the M74 motorway as well as the town of Dumfries. Located in the beautiful Dumfriesshire countryside, the mansion has been lovingly restored and finished to the highest standards. You can enjoy first rate hospitality and comfort, with breakfast and housekeeping services provided as part of the Whitecroft experience. A haven of peace and tranquillity, Whitecroft Mansion boasts delightful interiors, restored and finished to high standards. 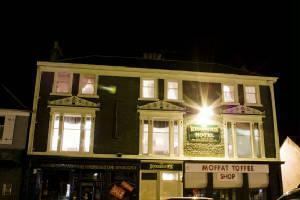 Offering original features with a modern twist, rooms are comfortable, cosy and attractive. With views of the Solway coast and expansive grounds, you can use the hotel as stylish and comfortable base for exploring charming countryside and enjoying magnificent views. 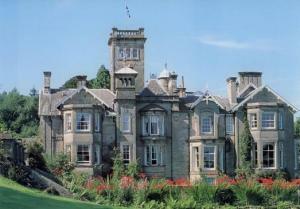 The Urr Valley Hotel is a long established country house hotel set in 12 acres of mature woodland and gardens. 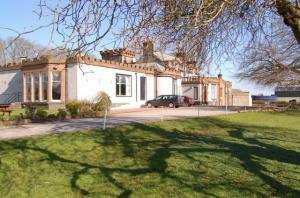 With its stunning views across the Dumfries and Galloway countryside, it is in an ideal location. 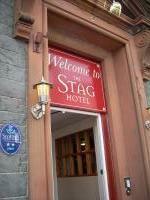 Within walking distance of Castle Douglas, one of the region's most attractive towns, the hotel makes an ideal base for touring the attractions of Dumfries and Galloway. 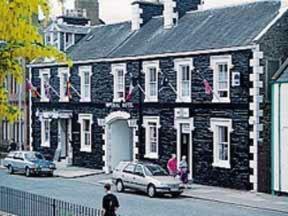 Built around 1700, the Ernespie House, as it was known, has a long and interesting history. Standing in 12 acres of grounds with interesting historical features, the Urr Valley now offers a quiet and peaceful setting for your stay in the Galloway countryside.